An animated heading is pretty cool in a banner. Here is how it's done. We don't necessarily need to load all the files. Morphext and Animate have to be used together. 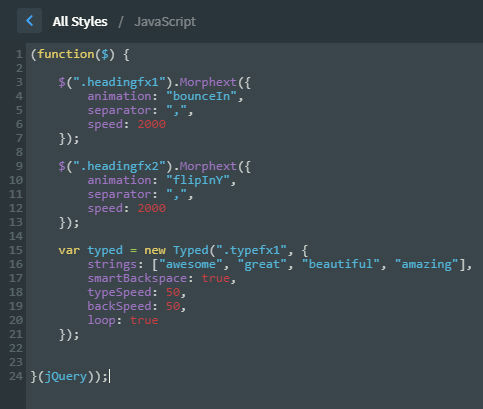 And Typed.js is only for the typing effect. As you can see, we can easily change the animation and the speed. Mike is just wonderful, magnificent, superb, marvellous !!! Then you just have to add some style in CSS to make it look better.